For over 30 years, the people of Broward County have trusted Boat World to help them realize their boating dreams. We recognize that recreation is one of the most valued past times in America and we live in the perfect place for fun and unworried water-recreation. 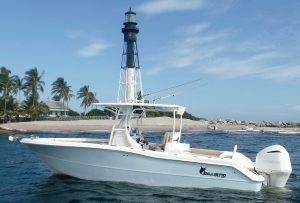 We pride ourselves in handling top-manufacturer brands such as Key West, Stingray, Billistic boats and Crevalle Boats both with unmatched boat-building craftsmanship. We guarantee our products will offer you and your family complete satisfaction! Founded in 1985 Boat World has grown its business through honesty and integrity by providing quality sales and service throughout South Florida. We strive to maintain the high level of business standards and practices our customers have come to expect. Boat World of Florida offers immediate delivery-service of Boats, Motors, Recreational Financing and Extended Warranty Packages. Much more upon request!